Showhouse & Home Tours | Design Lines, Ltd.
Who said you can’t have pink food too! 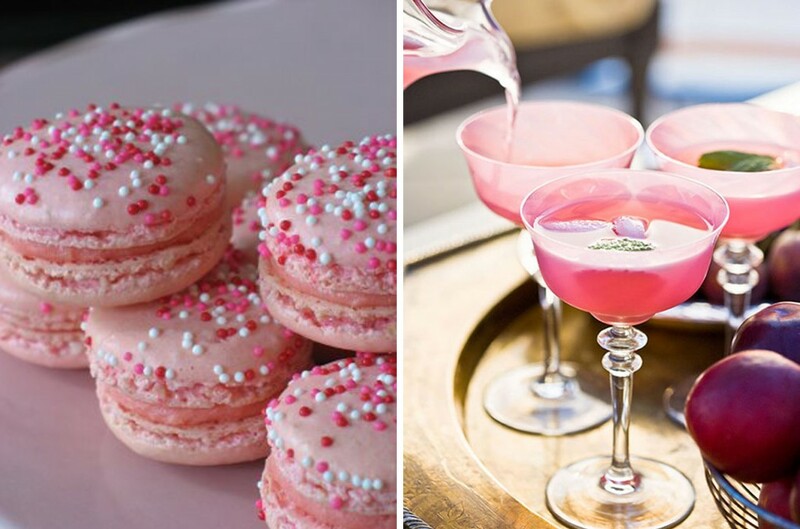 A sweet macaroon or a “In The Pink Drink” is a perfect snack before a girls night out. As far as interiors go, pink can definitely give a room the “wow” factor! 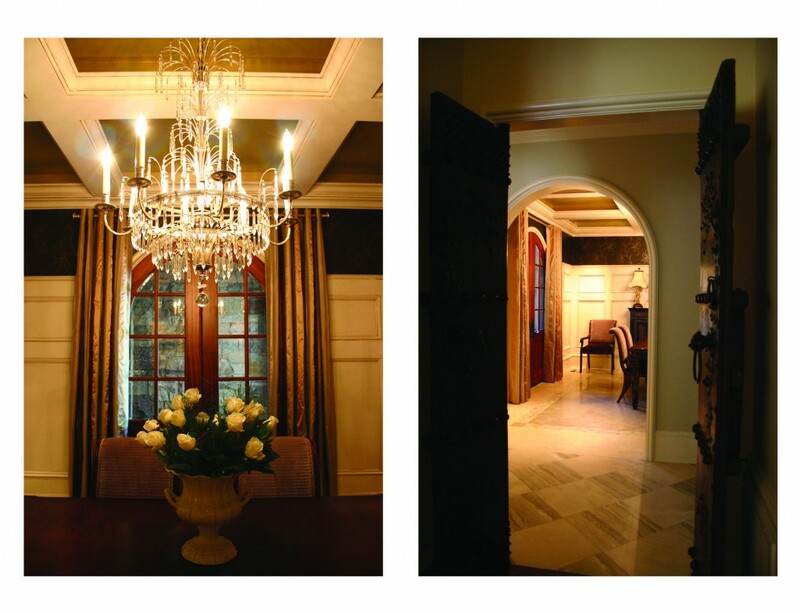 Below are two shots from our portfolio. 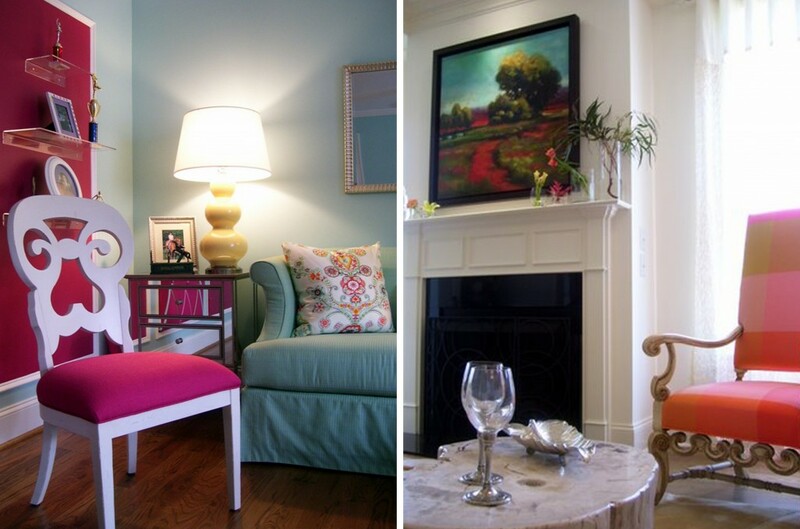 The room of the left is of a little girl’s room, while the picture on the right is Judy’s living room in the 2008 ASID Ramblewood Showhouse. 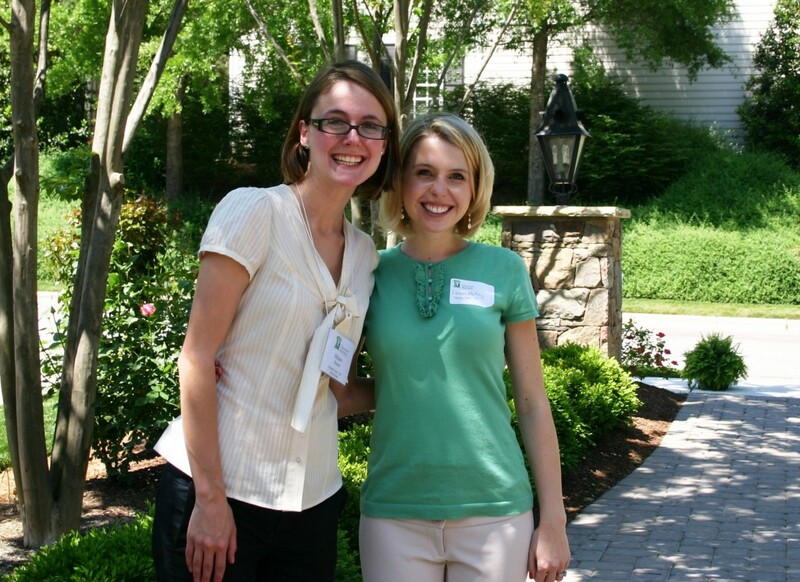 THANK YOU , THANK YOU- To the Junior League of Raleigh!! 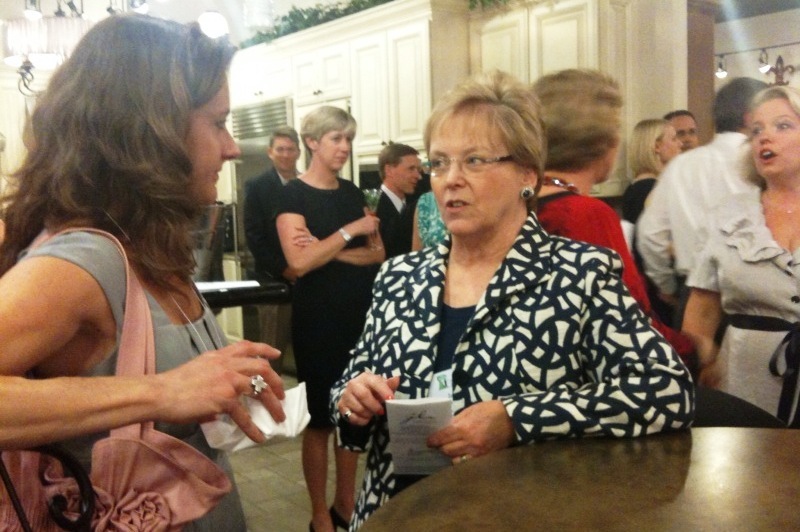 The 2010 Showcase of Kitchens was a huge success and we were thrilled to be a part of the tour. 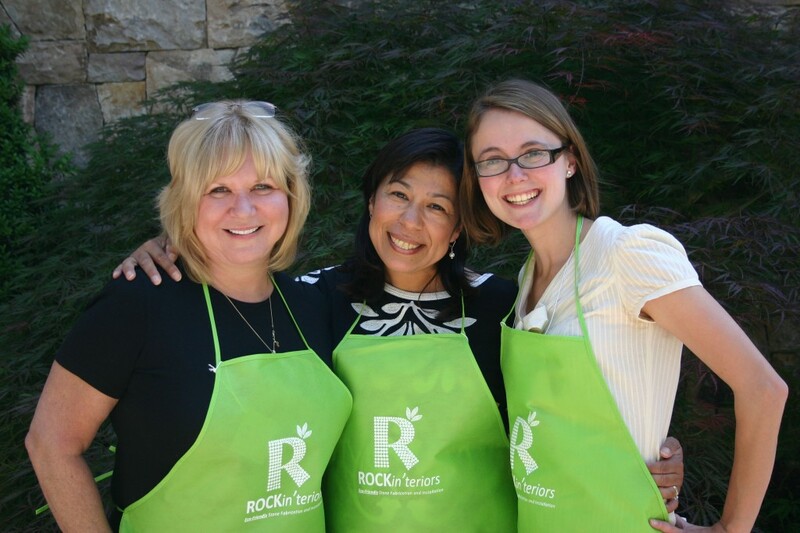 Above you see (Left to Right) Pat the owner of the Lake Boone Trail house, Laura from ROCKin’teriors and Hilaire from Design Lines, posing in their lime green aprons. They were so fun!! You just might find me wearing mine flipping some juicy hamburgers. There were volunteers at every house greeting the visitors and answering any questions. What a fine organization! Meredith and Hilary hats off to you ladies — fabulous job. This tour was also fun for the whole team at Design Lines. Below Lauren and Hilaire take a quick break to snap a shot. Throughout the weekend all the designers took part in the tour. For more pictures on the Lake Boone house click here and you will be re-directed to previous posts. Tomorrow we will show you some pictures of the master bedroom. My are they gorgeous! 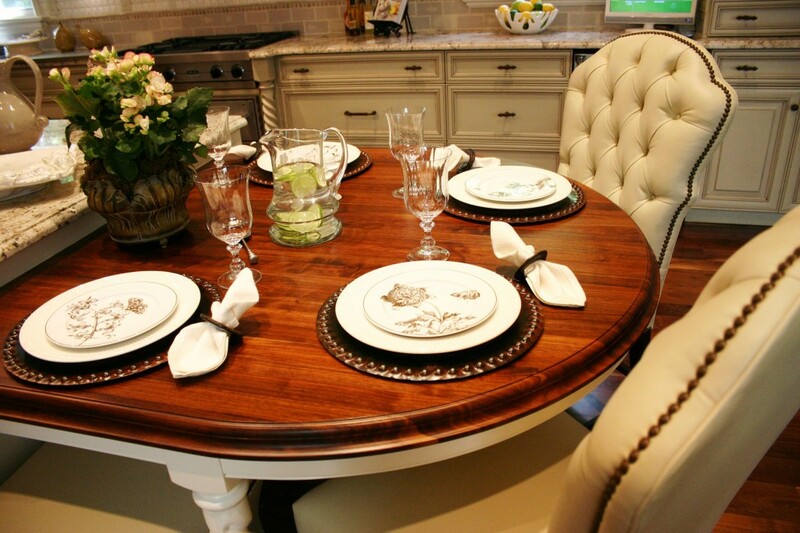 When staging a kitchen there are endless possibilities, for us it is about — simplicity and elegance. 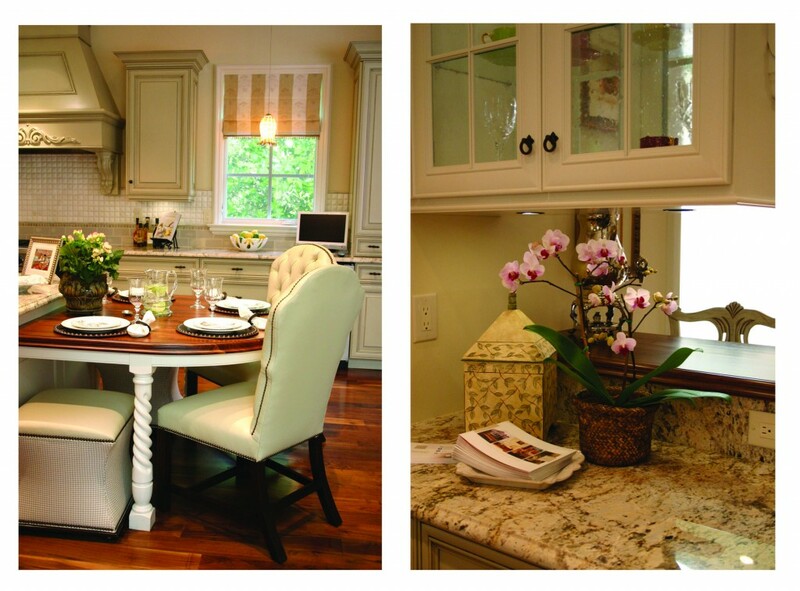 This Lake Boone Trail home is on this years Showcase of Kitchens Tour presented by the Raleigh Junior League. I love these chairs below especially with the nail-head trim. Divine! Every time I look at these photographs of this kitchen, I want to whip up a six course meal for my friends and family. This kitchen inspires me! 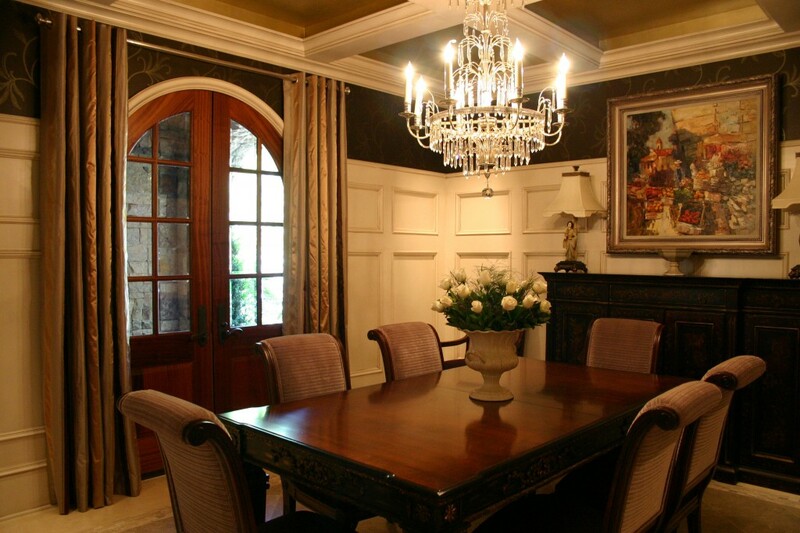 The dining room is perfect for a party. Conversation moves from appetizers in the kitchen to dinner in this timeless dining room and dessert in the living room. Dramatically proportioned Wainscot wraps the entire room. Lime green fabric drapes the back of the bookcase creating a soft look. 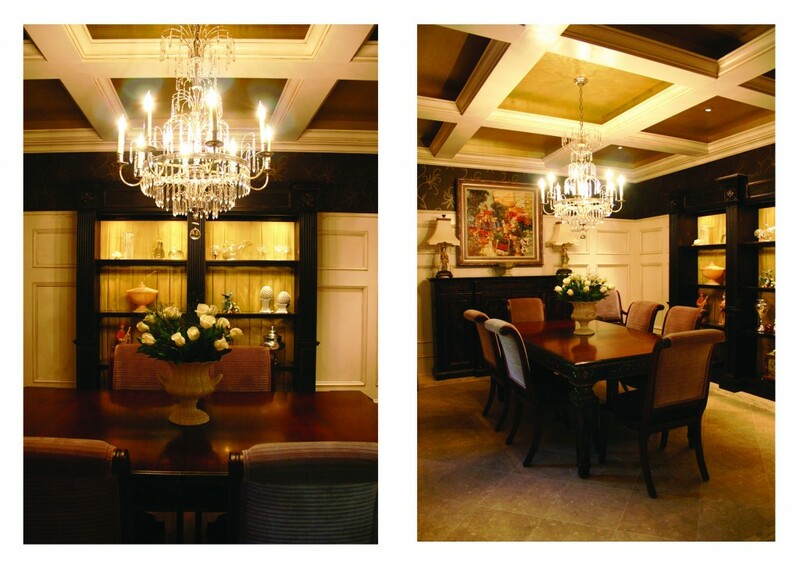 Gold coffers in the ceiling gives the room a stately feel. Above: The artwork above the mantel was commissioned by the talented Raleigh fresco painter, Steve Staresina. Last night Judy, Molly and Hilaire attended the Toast to the Tour evening event that kicked off the 2010 Showcase of Kitchens Tour. 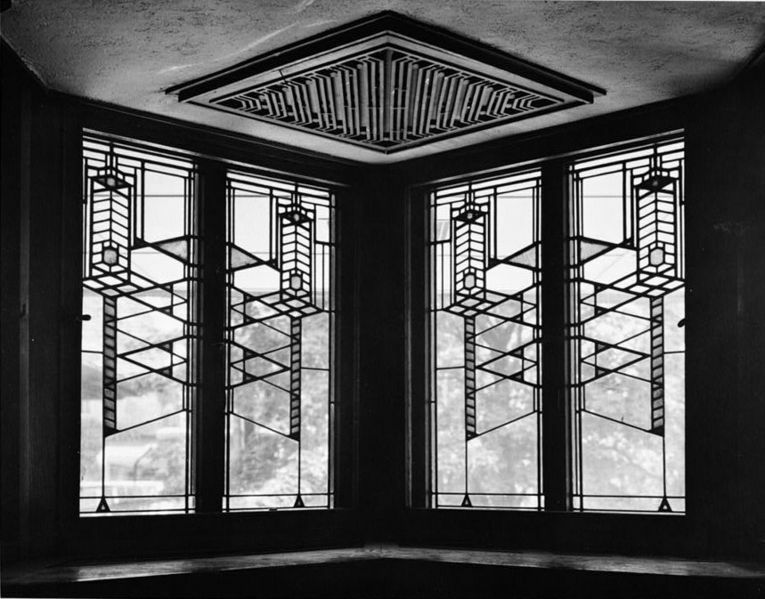 The tour is presented by the Junior League of Raleigh and it will run today and tomorrow from 10-4pm. 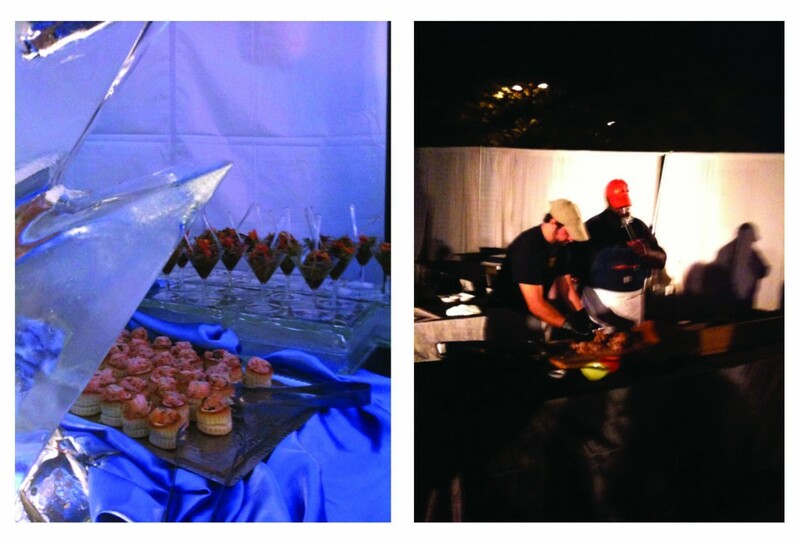 The toast night included a silent auction, chef demonstrations, great food and fabulous music. Above Molly and Judy chatting — probably about work. These pictures only give a snapshot of the evening! There was so much fun, music and socializing going on, it was hard to keep up. The catering was by B & B Catering of Spring Lake and of course a Raleigh party would not be the same with out Ed Mitchell the Pit Master from the local Raleigh favorite, The Pit. 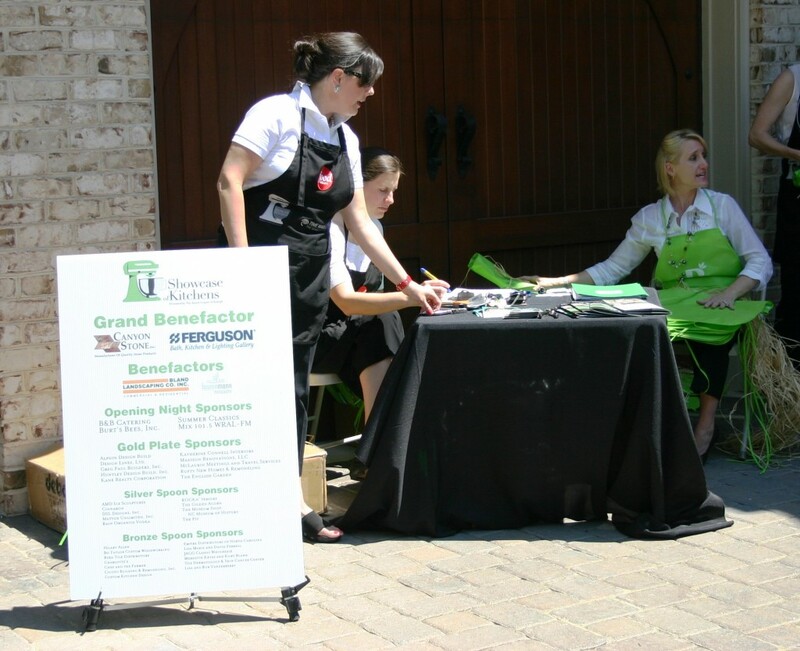 The 4th Annual Green Home Tour presented by Stock Building Supply is running May 2nd 10am-6pm and May 3rd noon-6pm across 6 counties in the Triangle area. 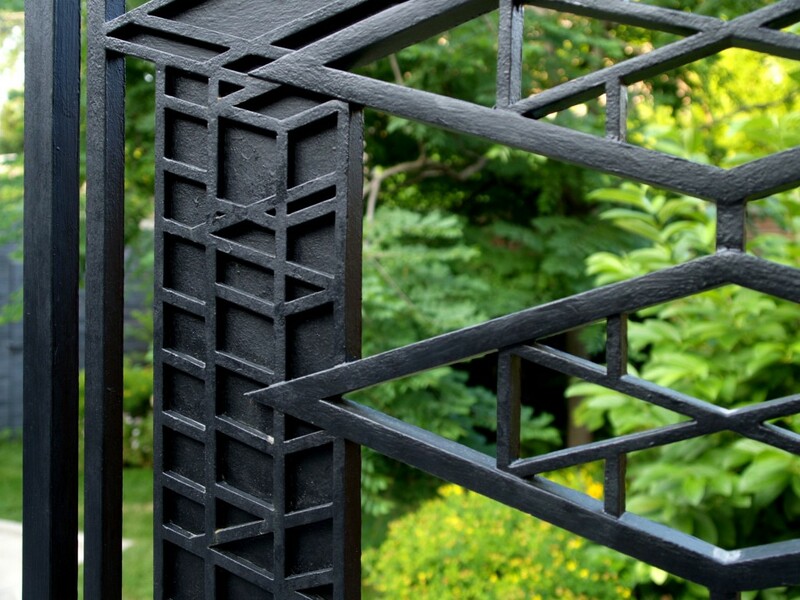 Design Lines provided the interior design services for the entry by Rufty Homes. 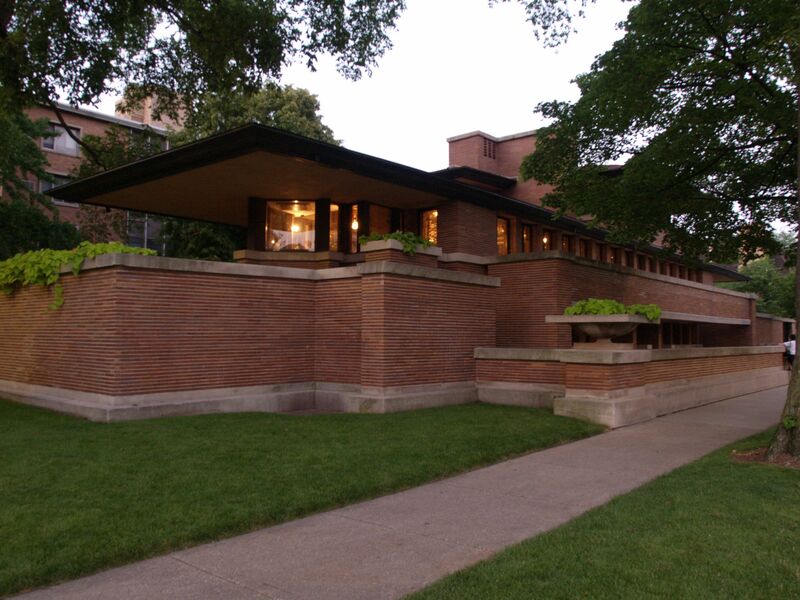 This house is worth checking out! The house is located in Preston Grande II on 111 Trellingwood Drive in Morrisville. Click here for a map. Molly Simmons, ASID of Design Lines was part of the team Rufty Homes, Inc. put together who designed and built a home that was not only beautiful for the client but also one that was environmentally friendly. The green approach is documented in a set of guidelines put out by the Green Home Builders of the Triangle Green Building Initiative. 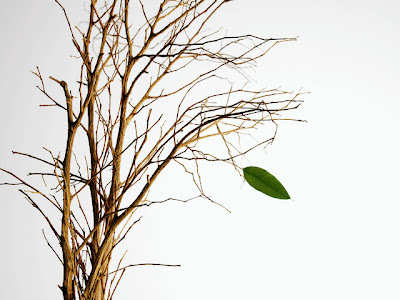 Being green does not have to be tiring, time consuming or an after thought; but rather should be efficient, beautiful and best of all environmentally sound. Leaves are starting to turn, the weather is getting cooler and you guessed it- it is October which means the 2008 Parade of Homes is here! We are pleased to announce that we have three parades throughout the greater Wake County area. If you’ve got some time, we suggest you check them out. Builder- J.T. Sullivan Custom Builders, Inc. 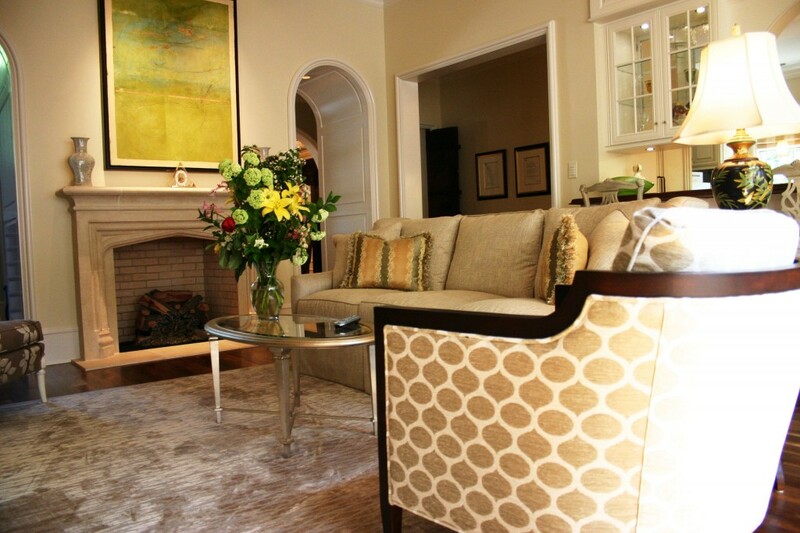 Check out this video of Judy’s Living Room for the ASID Showhouse! Judy has great plans for these unpainted walls.